Watch the video. Take the quiz. How does clubroot spread? Are alkali soils immune to clubroot? 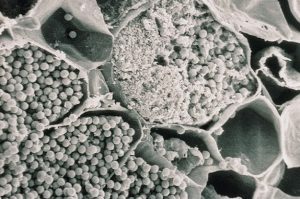 How long can clubroot spores survive in the soil? Read on for answers to these questions and seven others. A new canoLAB format took flight in Alberta this winter, with 16 Top Gun Agronomists from across Alberta taking part in three intense sessions in December, January and February. 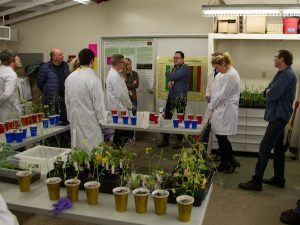 Although the event required serious time commitments from participants, this extensive training allowed agronomists to better develop and understand the science behind the major agronomic issues affecting canola. Discovery Seed Labs in Saskatoon is the first to offer a test of canola stubble to determine (1) if blackleg is present and (2) what race of blackleg it is. This can help farmers and agronomists make proper use of the new blackleg resistance-gene (R-gene) classification system when making seed decisions. What are safe seed row fertilizer rates for phosphorus (P), sulphur (S) and nitrogen (N)? With lower seeding rates than in the past, this concern is greater than ever. Growers need to keep all seed viable to hit plant population targets. Therefore, the best practice is to put up to 20 lb./ac. of phosphate (max 40 lb./ac. 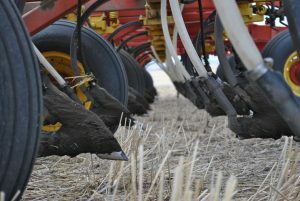 of MAP) in the seed row – if P is needed – and put all other fertilizer in a band outside the seed row. Ultimate Canola Challenge will run fertilizer trials in 2018. The focus and protocols have not been finalized yet, but farmers interested in participating can email Nicole Philp at philpn@canolacouncil.org. Diversified crop rotations are known to help with insect and disease management. 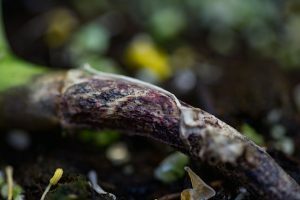 A two- or three-year break between canola crops will significantly reduce viable spore counts for clubroot and blackleg in particular, making rotation an import step in managing these diseases. Rotation will also improve crop yields in general. 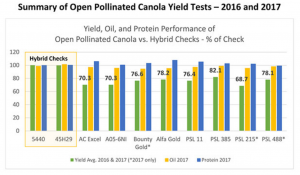 Manitoba Canola Growers ran a two-year trial comparing yield and quality for eight open-pollinated napus varieties as well as two hybrid checks (5440 and 45H29). Average yield for the eight varieties was 25% less than the checks. Two varieties tested are newly available Bounty Gold and Alfa Gold, bred at the University of Alberta. In the Manitoba trials, these yielded 76.6 and 78.2 per cent of checks, respectively. Canola events for March and beyond.